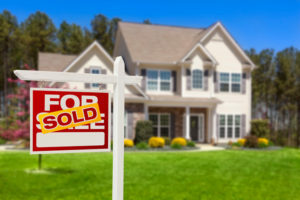 Posts tagged " Sale "
The ability to exclude up to $500,000 of gain on the sale of a principal residence is one of the most popular aspects of the current income tax code. The House of Representatives’ tax reform bill may modify that benefit. Click here for an explanation of how the exclusion currently operates. If you are a home owner, you are entitled to exclude up to $250,000 of gain on the sale of your principal residence ($500,000 if you are married and filing a joint tax return) as long as you meet certain eligibility requirements. The exclusion itself is not changing, but the eligibility requirements might. The current law requires that you must own the house for 2 out of the 5 years prior to the date of sale. You are also required to use the house as your principal residence for 2 out of the 5 years prior to the sale. The House of Representatives’ proposal changes this time period. Under their proposal, you must own and use the house as your principal residence for 5 out of the 8 years prior to the sale. The proposal also imposes a new income test. In order to claim the exclusion, your modified gross income in the year of sale and the 2 preceding years must average less than $250,000 ($500,000 if you are married filing jointly). If your income exceeds this threshold, the exclusion phases out. The phase out is one dollar for every dollar your average modified gross income exceeds the limit. If you are married and for whatever reason did not file a joint tax return in a preceding year, that year will not be included in determining your average modified gross income. You will only be able to claim this exclusion once every 5 years. The rule currently is that it can only be used once every 2 years.